On March 8, 2019 Colorado introduced legislation HB19-1233 Investments In Primary Care To Reduce Health Costs setting targets for investment in primary care and establishing a primary care payment reform collaborative in the division of insurance in the department of regulatory agencies. In March, West Virginia passed SB 641 creating the Primary Care Support Program to provide technical and organizational assistance to community-based primary care services and report on West Virginia Medicaid primary care expenditures as a percentage of total West Virginia Medicaid expenditures. On February 11, 2019 Missouri’s House of Representatives introduced HB 879 the Primary Care Transparency Act which would establish a primary care payment reform collaborative for the state. The bill was referred to the Committee on Health and Mental Health Policy and a public hearing was hosted on March 11th. On January 24, 2019 Vermont introduced legislation increasing the proportion of healthcare spending allocated to primary care. The legislation, S.53 and H.89 proposes to require the Green Mountain Care Board to determine the proportion of healthcare spending currently allocated to primary care, recommend the proportion that should be allocated to primary care going forward, and project the avoided costs that would likely result if that proportion were achieved. In January, Hawaii introduced HB 1444 Primary Care Payment Reform Collaborative establishing a task force known as the primary care payment reform collaborative to: a) examine current levels of primary care spending in the state; and b) develop annual recommendations to the legislature to strengthen the primary care system in the state. In January, Delaware’s Primary Care Reform Collaborative released recommendations to invest more in primary care to meet the medical, behavioral, and social determinants of health of Delaware’s diverse patient population. These recommendations, if adopted, have the potential to help transform the healthcare system in Delaware and enhance value. In March, PCPCC convened members to discuss proposed interoperability regulations as well as key priorities for primary care. Our conversation was led by Anil Jain, MD, FACP, VP & Chief Health Information Officer for IBM WatsonHealth, who sits on the HHS Health Information Technology Advisory Committee. Building on this discussion, PCPCC staff and members are working to develop policy recommendations to provide to HHS on interoperability. In February, PCPCC convened more than 40 members to meet with the Center for Medicare and Medicaid Innovation (CMMI) Seamless Care Models Group. CMMI speakers discussed the existing Comprehensive Primary Care Plus (CPC+) program, recent changes for the 2019 year, and early results. Interestingly, the speakers noted that half of CPC+ participants concurrently participate in an accountable care organization (ACO). Representatives from CMMI also noted that the first annual report, detailing the first year of the model, will be published in the next few months. PCPCC members received a high-level overview of the administration’s thinking around the upcoming CPC+ Track 3 option. This regulation is currently “under final review” and is expected to be published in the near future. PCPCC will comment on the proposed model upon release. For more information on the current program, please see the CMMI website. CMMI staff also encouraged PCPCC members to attend its upcoming CPC+ conference in May. PCPCC’s Behavioral Health Integration in Primary Care Workgroup is developing consensus recommendations to emphasize key capacity assessment and transformation principles that are needed for the improvement of behavioral health integration, which is a key priority and goal of primary care investment. These recommendations build on PCPCC’s Consensus Recommendations on Primary Care Investment and focus on state-level behavioral health needs and capacity. PCPCC is also working to collect strong case studies showing clear evidence on the positive outcomes of primary care and behavioral health integration. Thank you for your participation! We received more responses than expected for PCPCC’s winter survey and we're using those results to help shape our work on the PCORI Engagement Dissemination Initiative. What did the survey results tell us? We discovered that your familiarity with research funded by the Patient-Centered Outcome Research Institute (PCORI) is mixed and that you often don’t have the time and resources to vet research outcomes or translate them into easily understood language. Further, you indicated an interest in PCPCC communicating research findings to you via issue briefs, webinars, or infographics. Since analyzing the survey results, PCPCC, in consultation with our Advisory Group, is working on strengthening our network, developing a framework to select the PCORI studies that are most applicable to primary care audiences, and developing a communication plan to test dissemination messages and channels. This work is all part of our expanded effort to build PCPCC’s infrastructure, capacity, and expertise to increase awareness and more broadly and rapidly disseminate patient-centered outcomes research and clinical effectiveness research results. Please be sure to mark your calendars and register for PCPCC's upcoming webinars. 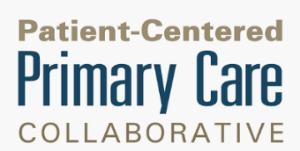 On Monday, April 15th, 2019, PCPCC will host a panel of experts who will discuss patient-centered care delivery innovation in Medicare Advantage. They will share a variety of lessons learned from their work within the broader healthcare system. They will touch upon topics including efforts to strengthen primary care delivery for high-need seniors, medication prescribing, senior loneliness, and steps needed to ensure that program implementation is consumer-centered and protects vulnerable populations. On Thursday, March 21st, 2019, PCPCC hosted a webinar: Putting the Mouth Back into the Body. More than 325 attendees heard leading experts discuss their ongoing effort to improve the integration between oral health and primary care, share their experiences with the associated challenges, and discuss opportunities that this integration will create to improve health for patients. 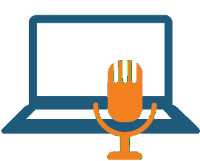 On Wednesday, March 20th, PCPCC, in collaboration with the Institute for Patient Family Engagement (IPFCC) hosted a webinar: Addressing Health Literacy Through Patient and Family Engagement. Experts shared strategies and outcomes for improving health literacy and patient engagement. Attendees enjoyed the opportunity to: 1) learn about the relationship between health literacy and patient/family engagement; 2) learn from both a patient advisor and a clinic leader about direct care changes and unique partnerships for improving health literacy; and 3) understand the resources and practical ideas that can be used for addressing all levels health literacy. On Thursday, March 14th, 2019, PCPCC and ABIM Foundation’s Choosing Wisely—a campaign committed to improving the critical skill of asking and answering questions about whether a test or treatment is necessary for both patients and clinicians— co-hosted a webinar: Discussing Overuse with Caregivers. This webinar shed light on adding the common and important addition of overuse to the conversation. The information presented guides caregivers to available tools to help them navigate questions of overuse with the person receiving care. 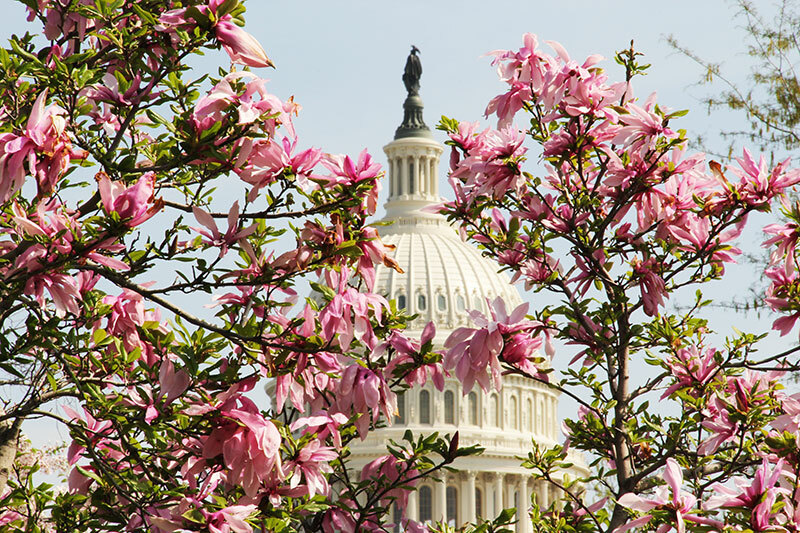 On March 20th, the Robert Graham Center hosted a briefing on Capitol Hill exploring Graduate Medical Education (GME)-based solutions to the maldistribution of primary care providers (PCPs). During the briefing: The Impact of Graduate Medical Education on Physician Maldistribution, experts discussed topics including: how one’s zip code correlates to access to healthcare options; and the issue of maldistribution of PCPs leaving rural and underserved communities with a disproportionately low volume of clinicians. They also examined the impact of GME on a graduate’s location of practice– most staying within 100 miles of their residency program. How can GME help resolve the lack of providers in underserved communities? Read more here! On March 8th, MedPAC held a public meeting with a session on Medicare’s Role in the Supply of Primary Care Physicians presented by Ariel Winter, MPP, principle policy analyst for MedPAC. The members of the Medicare Payment Advisory Commission discussed ideas and considerations for a potential future program targeted at encouraging more physicians to provide primary care to Medicare beneficiaries. Read the event summary! On March 5th, Health Affairs held a briefing titled Patients as Consumers in which panelists examined patient engagement in choosing plans, providers, and treatment; payment and benefit models that encourage and support consumer participation; and consumer roles in research, organization, and governance of the healthcare system. Read the event summary! On February 12th, Brian Pieninck, president & CEO of CareFirst BlueCross BlueShield hosted an event, CareFirst: A Partner in Health. The speakers focused on community partnerships and what lies ahead for CareFirst and the Capital region. Read the event summary! Registration for PCPCC’s Annual Fall Conference opens in May! Please be sure to check the PCPCC website for conference-related information! We look forward to spending time together in Washington, DC. Harvard's Medical Director Leadership Institute, will be held May 16-18, 2019. The three-day course uses expert content, coaching, and peer mentoring to teach leaders how to better navigate financial constraints, manage teams, and lead change at their practice. Attendees can earn up to 16.75 AMA PRA CATEGORY 1 CREDITSTM .